Southern Guild presents a new solo show of paintings by Olaf Hajek, Paravent, at GUILD in Cape Town’s Silo District from 25 April to 12 July 2018. Held in collaboration with Whatiftheworld, this is the internationally renowned German painter’s third solo show in Cape Town. The 14 acrylic paintings in this new body of work depict still-lives, interiors, portraits and landscapes, whose theatricality is heightened by the recurring motif of a folding screen (“paravent” in French). “The screen creates its own mysterious space. Behind it, you find a hidden world but it also provides security and shelter,” Olaf explains. 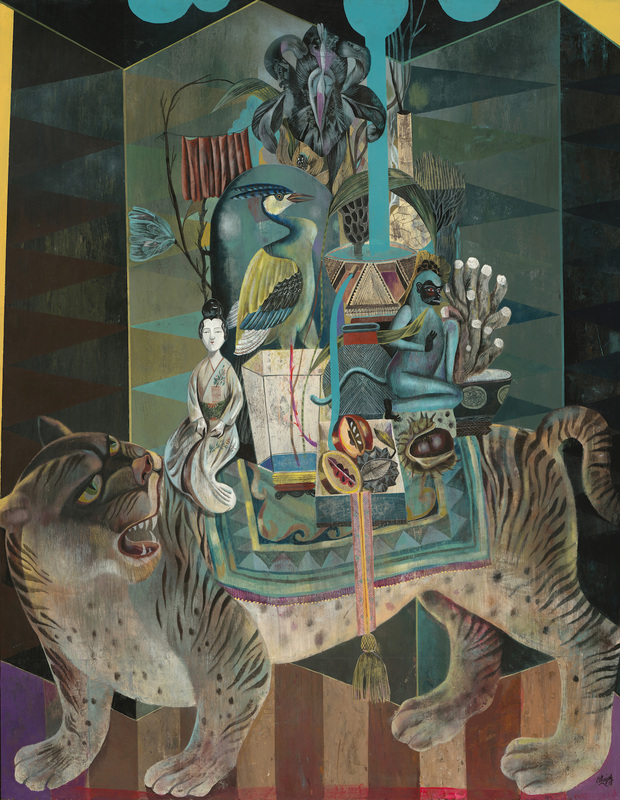 Paravent by Olaf Hajek runs from 25 April to 14 June 2018.